As we always seem to say, a lot has happened with SoS Middleton since our last blog entry! Our team is getting the word out to the community in many ways. On May 1st, we started our weekly Kids Activity Table at the Downtown Middleton Farmers’ Market. Our goal is to engage kids with fun, hands-on activities, and to talk to community members about our program while at the same time encouraging increased attendance at this somewhat new and small market. So far, our activities included potting-up tomato plants and playing a seedling guessing game. 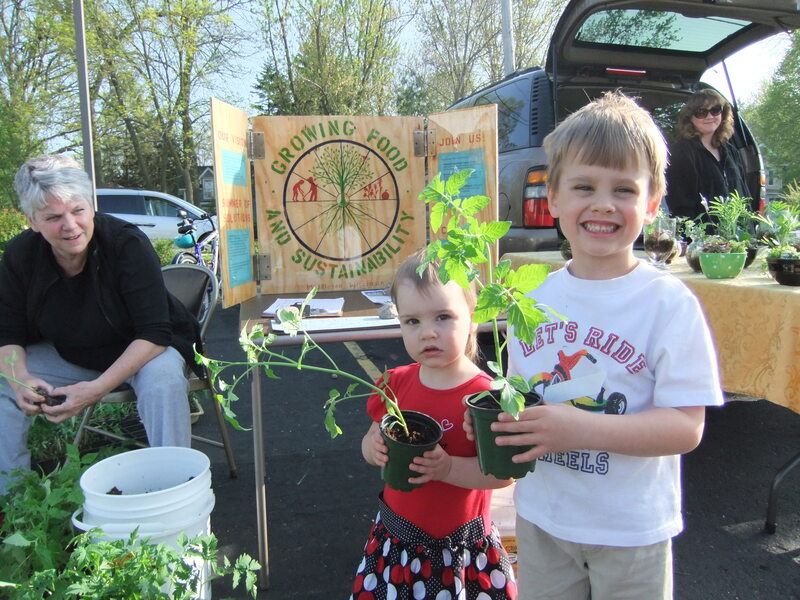 We’ve heard from parents that we already have a few dedicated kids who are watering their tomato plants everyday and eagerly awaiting the next market activity! One of our program leaders, Gabrielle, was recently interviewed on a local radio show! She got a chance to talk about the goals of Growing Food and Sustainability and what inspired her and her sister, Natalie, to start the organization. Take a listen here! As June approaches, we are finalizing our team (stay tuned for team bios, we have a fantastic group!) and preparing for training week and our summer program. As I write this, the weather is sunny and around 70 and I know that the tomato and pepper plants we are planting on Saturday’s workday are going to be very happy!